Wow this has been one awesome week!!!!! As the #dtk12chat often says #BOOMSHAKALAKA!!!!!!!!!!!!!!!!!! I’ve had an amazing time at fuse15 getting to meet educators around the country and help coach them through the design challenge. Getting to see the ideas really come to life in today’s pitches was amazing! It was also really meaningful to get to work with these non-profit organizations, and you could tell how much our ideas meant to them. I also really enjoyed my first experience with an un-conference. I wish I could have gone to even more of the conversations because they all sounded so interesting. The first one I went to was lead by our MVPS college counselors and one of my teammates on Green Echo was actually the only non student in the room which was kind of cool. They shared with us their early prototype of infusing the DEEP process into the college process in order to help students discover what type of school they would like best rather than just knowing the names of a couple of big schools maybe from family or sports. The process was such a neat concept and all of the students in the room seemed to have a general agreement that it would be a super helpful process to go through so that we could really go to a college that’s just right for us. The next session I went to was about the physical space needed for DT. However, the person that suggested this session had suggested it because she wanted to ask questions herself rather than lead the discussion, so instead some of us MVPS students ended up taking over as leaders for the session (seems like a common theme for me this week #hacktheworld). This session kind of bounced all over the place with people asking about our high school schedule, rest spaces (which lead us to talking about the ideas of a MV Cafe which seems to almost always come up with ID members), and even lower school DT. There were a few really cool moments in this sessions for me. One moment was when we were asked about our ideal classroom (I think that was the question but I was actually having a side conversation with a few others when it was initially asked). The student that took the lead on this question started talking about his love of really nice textures like wood floors, and then he mentioned lots of window and all of the students jumped in to agree. We all LOVE WINDOWS!!!!!! Not only do they let in natural light, but also they can be used as a whiteboard surface!!!!!!!! It was actually a really funny moment because some of the people in the room kind of jumped because we all go so excited so quickly when someone mentioned windows! Another cool moment was when we were asked about lower school design thinking and how the process could be used with younger kids. This moment was cool for me because it was a “we know more than we think we do” moment. All of the students in the room were at least rising sophomores and more of us were upper classmen, but we all were able to share a little about stories we’ve heard about DT happening on our lower school. We were also able to share tips about embracing the fun in the process and how kids that age can definitely brainstorm, tinker, and ideate but they may need more guidance so we believe the trick is to make sure they really understand the “any idea’s a good idea” and “fail-up” mindsets. This moment showcased how clearly MVPS cross campus communication is at least decent since we were able to talk about the water challenge, mini library challenge, and makers club at the lower school. It also showcased how students can be “experts” about more than just high school stuff, because everyone has other connections and experiences that contribute to their knowledge on topics. The last session was one I was leading about Innovation Diploma. Of all things the one question that I’m still racking my head on is, “How would you explain in 2 minutes design thinking to a 2nd grader? What key words would you use knowing they wouldn’t understand all of the DT language words?” There are definitely a lot of terms we use when talking about DT that not everyone understands, and it has been an empathy struggle for me personally sometimes because it is hard to gauge what people will or will not understand when it comes to word choice. When we were asked this question non of us could give the actual 2 minute description, but we were able to pick out at least a few key words and phrases: human centered problem solving (the big one! ), process, relationship building, lot’s of models (trying to not use “prototyping” and “iteration”), working past failed ideas, telling stories, and a few more I can’t quite recall. Anyway, for me this helped lead to one of my big take aways today which was that I can always be working to have a clearer way to quickly describe DT; it’s seems I’ve been in the situation more and more often where I’ve needed this quick, non-DT vocab heavy, explanation. When the conference finally came to a close the energy and excitement in the room was fantastic! I loved how happy everyone was to have completed their first (for many) DT challenge and I was glad they all enjoyed MVPS so much. The wonder I have (and also said at the end of the day) is if next year we could successfully get students from other schools to come. This year we had those tickets available but no one took the bait, but maybe now people have a better idea of what design thinking is, they will bring students too! There were definitely a lot of “ooohs” when I said my wonder, so that’s always promising. I also was so touched to have so many people that talked to me about wanting to communicate more with me about design thinking, and some even asked if I could talk to their students. When someone says “you were inspiring,” that’s more meaningful than any A or any number could ever be, and that’s what motivates me to keep learning and sharing my story every day. 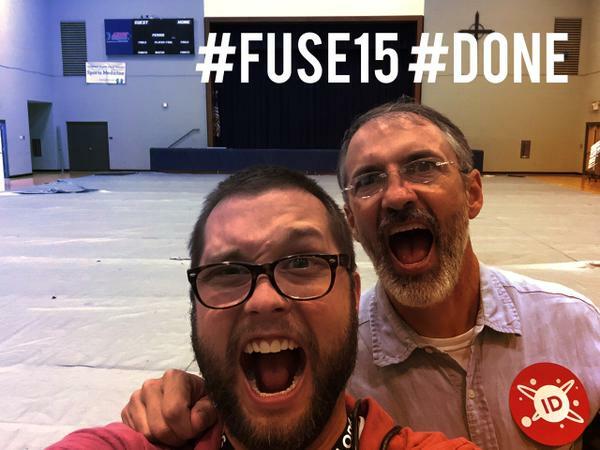 So thanks to everyone that helped make fuse15 possible: the d. team, coaches, and recruits, you were all what made the experience #BOOMSHAKALAKA ! In memory of 9/11, every year at MVPS we take the entire day of 9/11 to go out and serve in the community. 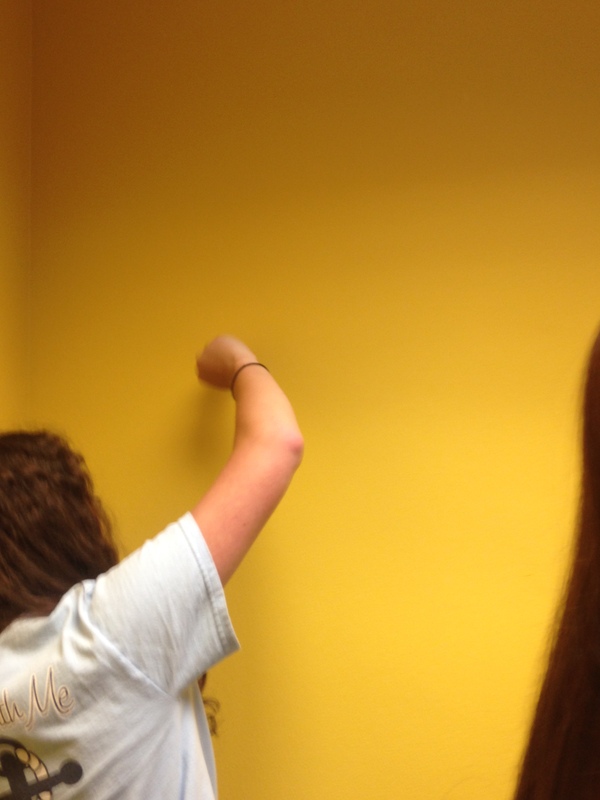 We call it Helping Hands Day, and this year I went to the Mary Hall Freedom House. This is a shelter for women trying to recover from addiction, and sometimes they have children as well. To help them out we redesigned their after school rooms for the 5-10 year-olds. When we got there these two rooms were cluttered and not efficient for the teacher or the students. We spoke briefly with the teacher and her few request were for there to be more defined station spaces, one of the sets of cubbies could not move (I forget the exact reason), and for the blocks to be more out of the way. From there we started our design thinking challenge. We started the process by observing the space, and then trying to brainstorm a “to do” list. Eventually, we realized that we needed to just start digging into the project and trying to move stuff around. Along the way there were several challenges because of our limited resources and the odd layout of the way the rooms were built (we only had what was in there, and everything needed a space). So we had to come up with some creative solutions. We discovered that the teachers desk really is only used when the students aren’t there. When the students are there, the desk is just a space for the teacher to put things on. So we moved it into the funny little corner in the back where the book shelves were, and moved the book shelfs to where the desk was because there was more open space for reading over there. When we tried to move it though, there was a bulletin board that they put into the wall by putting nails in the wall and then just jamming the heads of the nails into the board, so it was really hard to get off. We also had a lot of problems with double sided furniture. 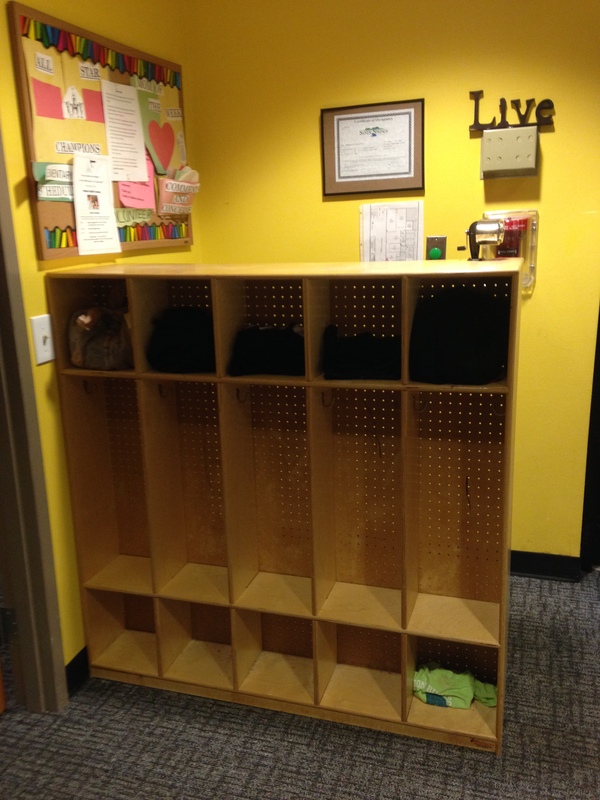 There can be up to 25 kids there at a time, so they really need all of the cubbies they have, which meant we couldn’t put this one set of cubbies against a wall. 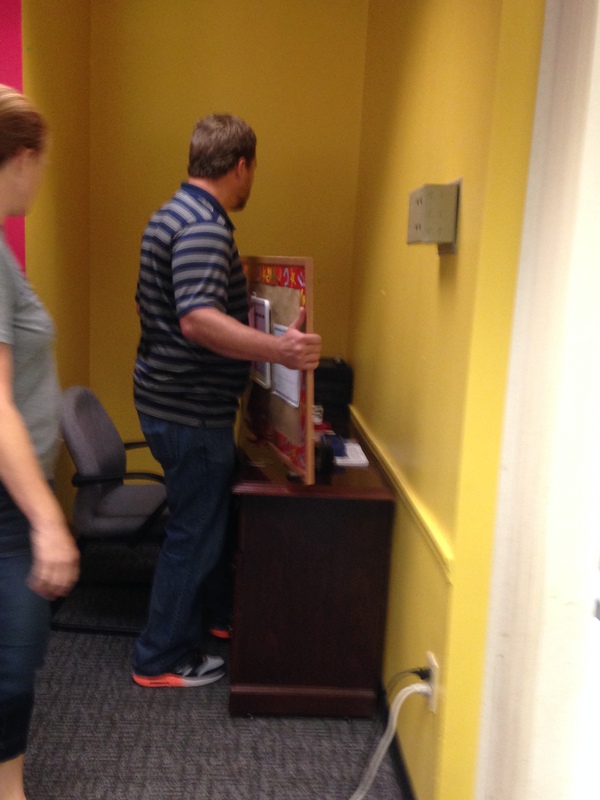 We eventually figured out where to put it, but we had to ponder it for a while. One of the few things that we were told was to deal with the blocks, and that was what we tried to start with, but we didn’t actually figure out where to put the blocks until almost last. It is funny how you often try to tackle your must haves first, but often end up getting to them later. We put the blocks in the corner behind the door to the second room in the end. This kept them out of the way, but in an area where they could still have access to lots of open space when needed. We set the rooms up in great time, so we decided to tackle their “if you get to it project” which was to try setting up the easels they had. We had to fail up quite a bit, but eventually we got one set up. We had a lot of challenges, but it was really rewarding in the end. 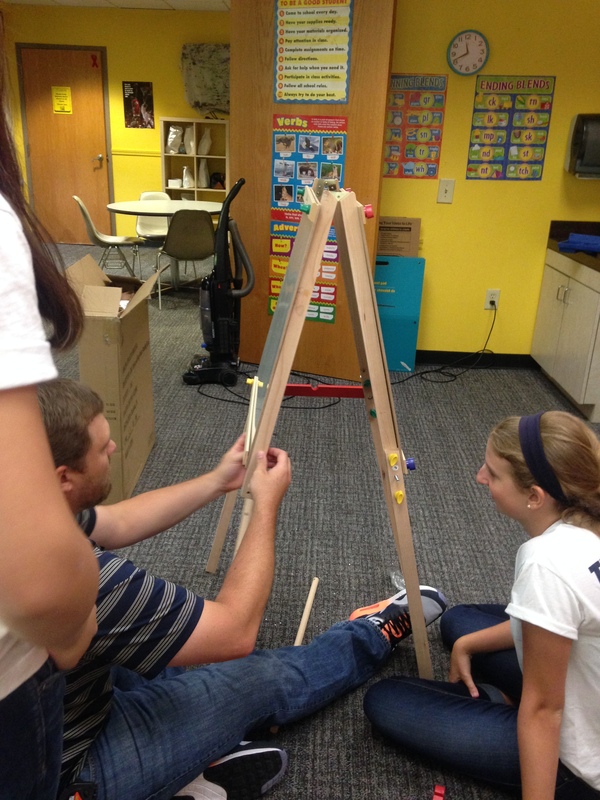 The teacher came in while we building the easel, so at this point everything was basically done, and she was trilled. She couldn’t believe how we transformed the space into something that she could really work in. She commented on how open and big the rooms looked with our new design, and she loved where we put the blocks in the end. She told us that she would have never come up with ideas like how we arranged the desks in two groups against each set of windows, and was overall really grateful. We wished that we could have been there to see what the children thought of it, but we had to go back to school. Once there we recapped on what we did and it amazes me how uplifted everyone feels when we come back from a day of service like this. We all had a great time and helped enormously around the community. During our end chapel one of the students gave a powerful story of his trip and about how we weren’t just serving them, they served us. We got the experience, we gained knowledge of others, we learned how to act to make a change for others. School can sometimes feel like it is in its own little world, and it is really important to give back to the community when you can.